- Wife, mother, Augustinian nun, stigmatist. 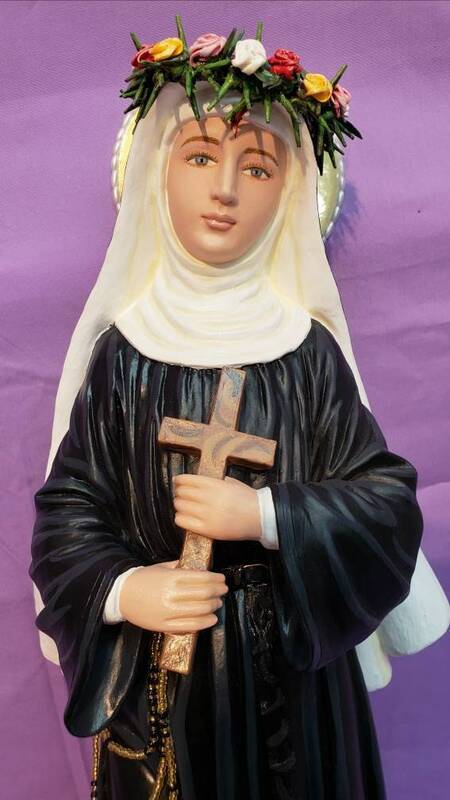 - Patroness of Impossible Cases & Reconciliation. 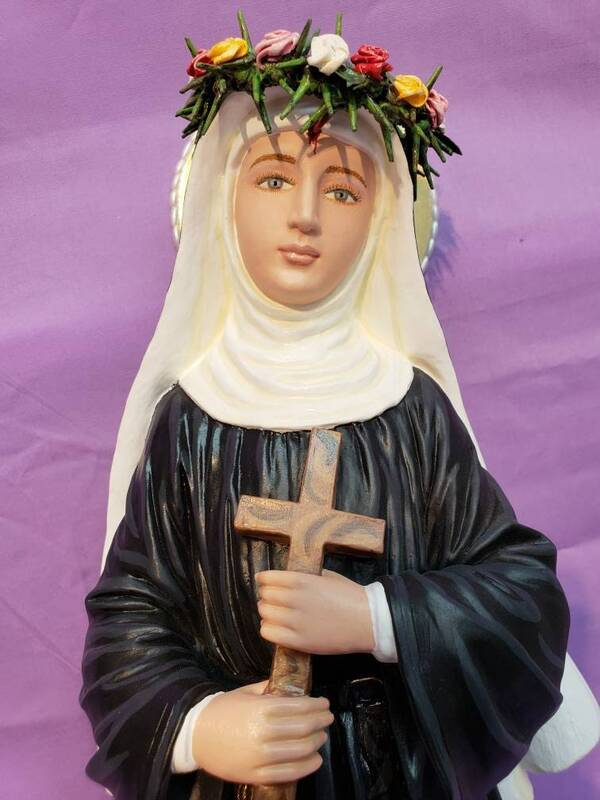 - Feast Day: May 22nd. 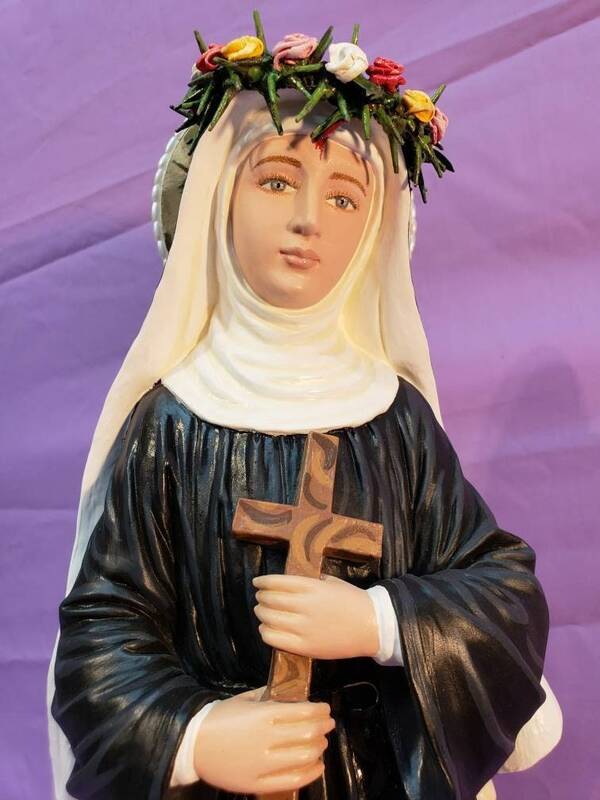 This statue features a lovely hand painted face and details such as painted fingernails and eyelashes, cloth flowers, hand-made tiny rosary hanging at her waist, golden halo, true Augustinian coloring, and a crown of thorns with one thorn piercing her forehead indicating her suffering of the stigmata. 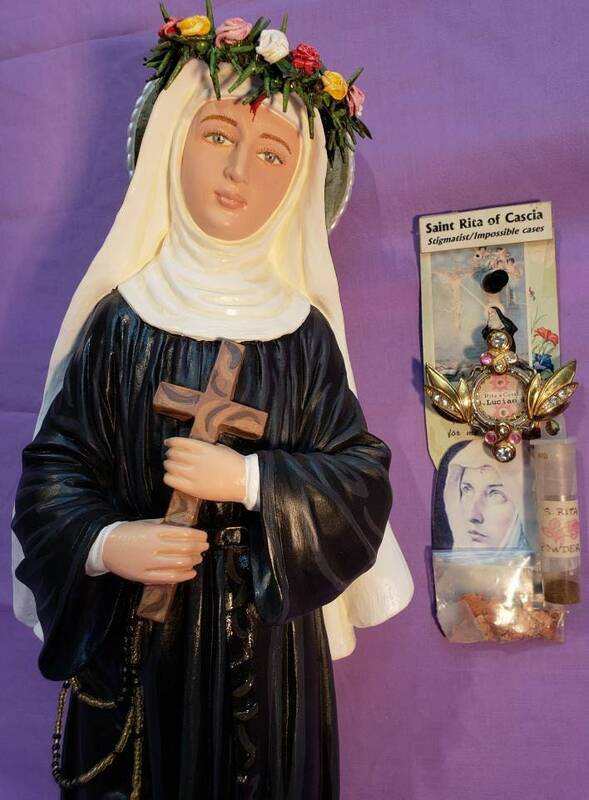 Also when completed, we will touch your statue to a first class relic of Saint Rita.